Considering the century-long multiculturalism that defined Sarajevo, it is hard to imagine how Bosnia was drawn into the atrocious war (1992-95) that meant the final disintegration of Yugoslavia. A war where once friendly neighbors turned against each other and that resulted in the genocide in Srebrenica and the siege of Sarajevo. 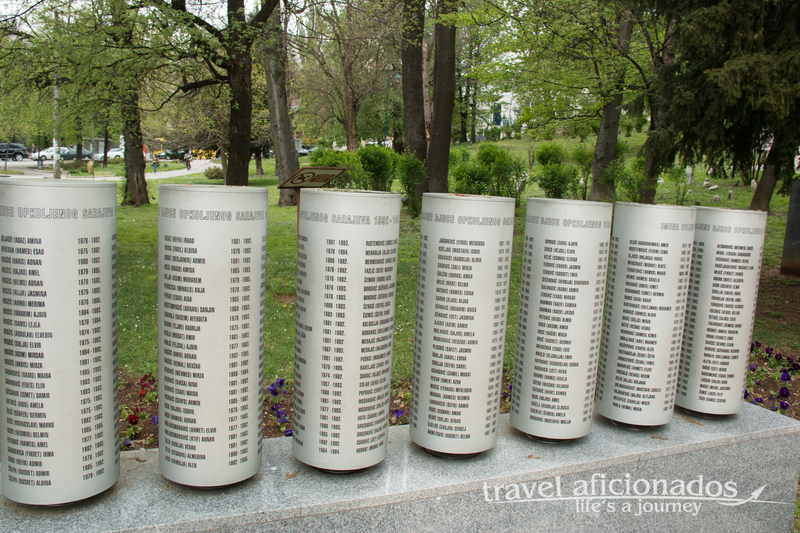 The Tunnel of Hope, Sniper Alley or the grave of Sarajevo’s Romeo and Juliet are now part of tourists’ itineraries. Being a history buff I was particularly eager to see them all. The siege lasted 44 months (1,425 days) which makes it the longest siege of a capital city in the history of modern warfare, a year longer than the siege of Leningrad. 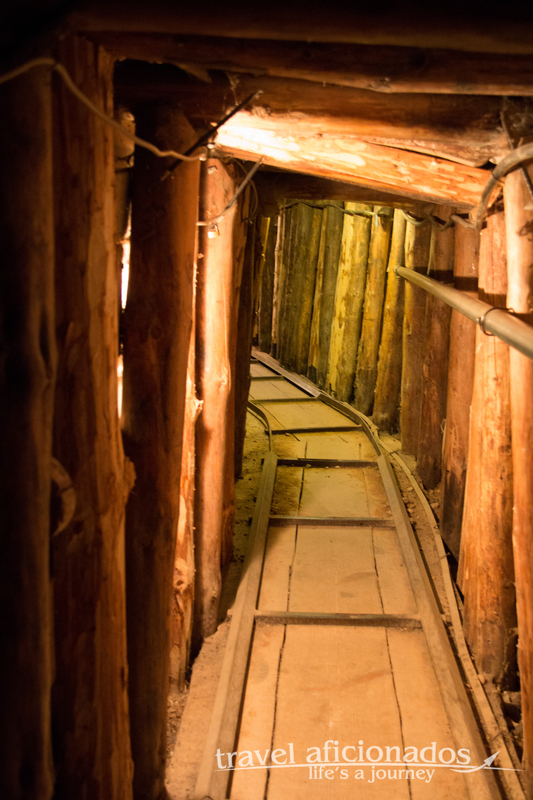 A tunnel dug from the airport was the only life-line for the 200.000 people who stayed. It started in a private house outside of Sarajevo. The owners, the Kolar Family still live there and have turned it in a small museum. About 10,000 civilians were killed in Sarajevo during the siege, mostly by snipers and mortars fired from mountains surrounding the city. 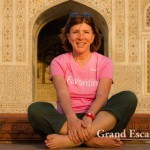 We could only crawl through a tiny bit of the tunnel near the house but I had a chance talk to some members of the family, who offered their home to establish this life-line. The guide told us during a siege a liter of gasoline could run up to $100 and when somebody managed to get a cow through the tunnel that meant a fortune to be made. View from Mount Trebević of Sarajevo below. 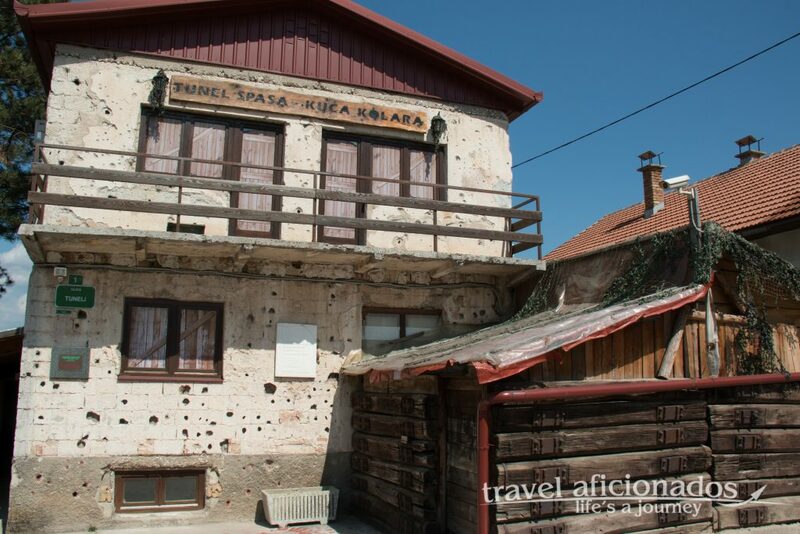 During the siege 1992-1995 the Serbian artillery was shelling the town from the surrounding mountains. 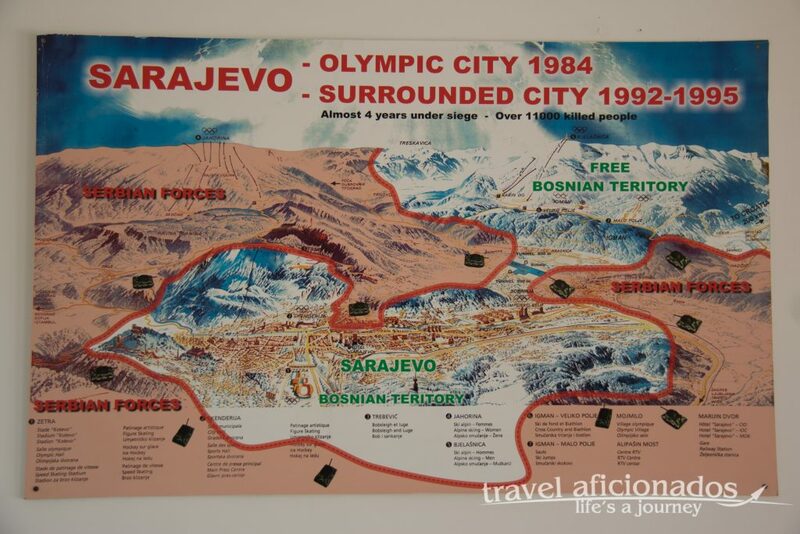 10 years earlier it was the site of sportive glories, the 1984 Sarajevo Winter Olympics. During the Winter Olympic Games in 1984 the ski races, the bob sleighing and other competitions took place on Mount Trebevic. 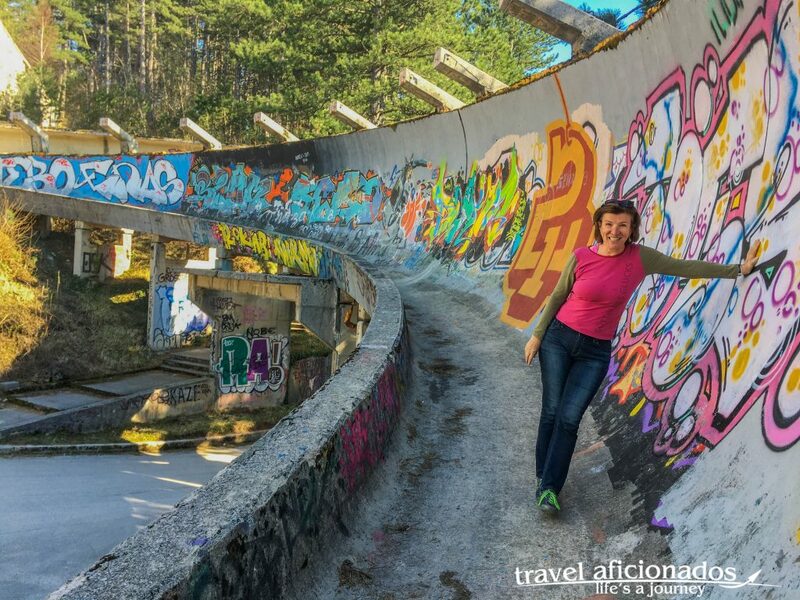 The most impressive reminder left is the concrete track where bobsleighs raced towards the valley. Nowadays, the fun part is walking down the concrete track, with its many curves. Graffitis hide the decay, only hinting at former sporting glories. Ten years after its construction the Serbian artillery shelled the city under siege from exactly those hills. 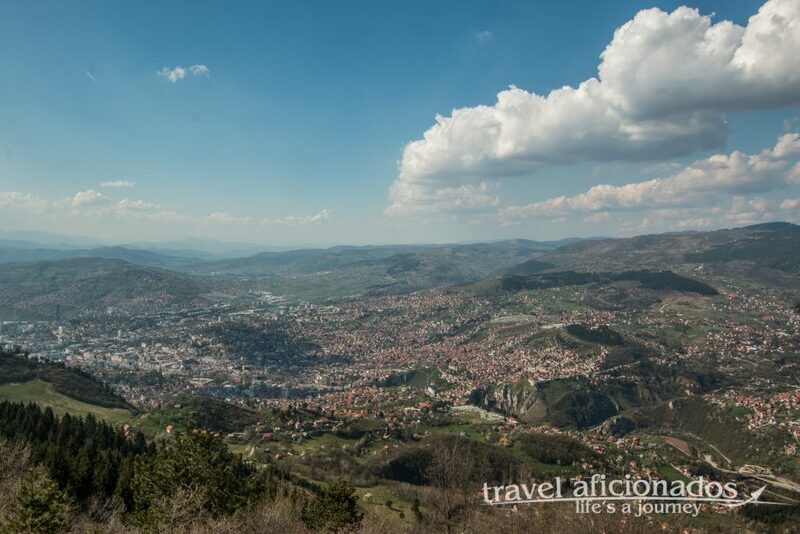 The view from Mount Trebević is breathtaking, but also shows that the people in Sarajevo were trapped like in a bowl. 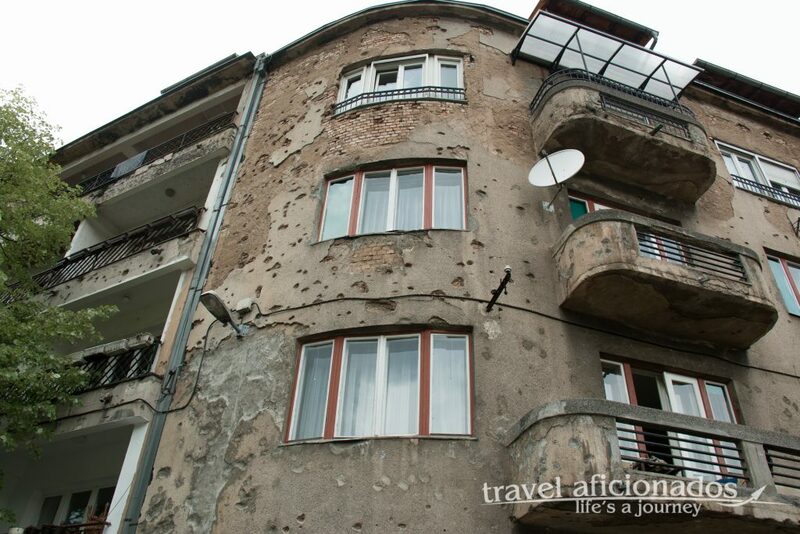 Even without such a tour, the traces of the war can still be seen in many places in Sarajevo. 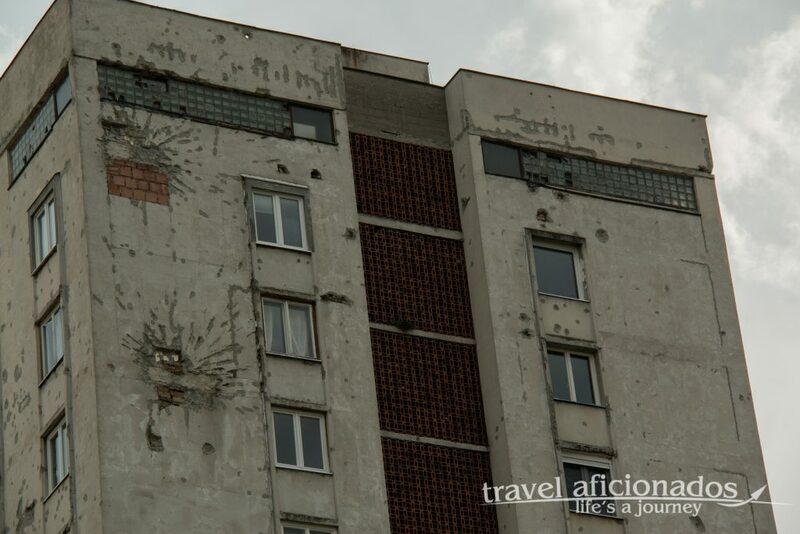 Lot of buildings are still scarred by shrapnel, but an even grimmer reminder are Sarajevo’s roses. 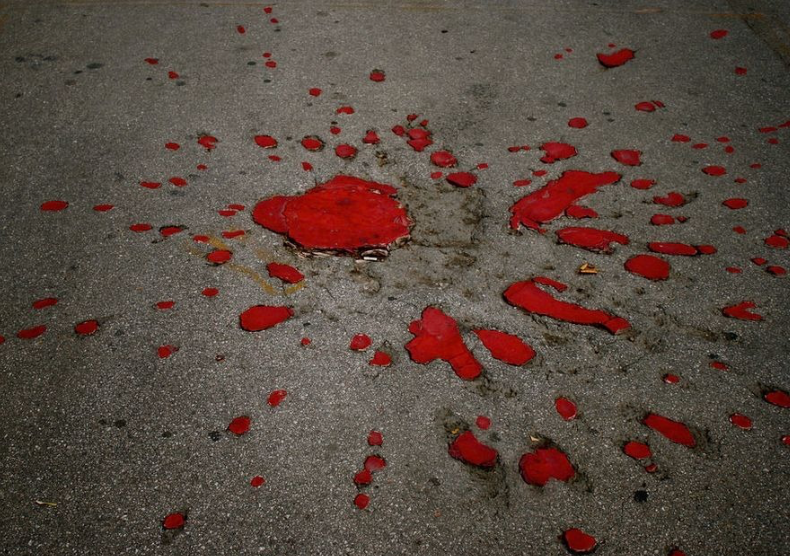 Those splashes of red paint on sidewalks, squares and roads mark places where people were killed by snipers or artillery shells fired from the mountains surrounding the city. The attacks of Markale market were particular tragic ncidents, within a year twice shells hit the market killing a total of over 100 people and wounding hundreds. The monstrosity of these attacks eventually led to the NATO airstrikes, the Dayton Peace Accords and the end of the war. A local told me that as a child he was not allowed to wear a red pullover because this could make him an easy target. A story I will never not forget, because this anecdote made it so clear that children were not random victims of this war but they were picked to be killed. Most of the 1601 children died due to the artillery attacks but over 50 were selected by snipers. Of all war crimes to me this is the most hideous, not only targeting civilians but small children. In a documentary that I later read a soldier boosted “Why bother waste two bullets? If I shoot the child, I kill the mother too.” For each child killed the people of Sarajevo planted a rosebush, 1,601 of them. To the left of the green cone-shaped memorial are seven drums that can be turned. Engraved in them are the names of all 1601 children. One of so many places in Bosnia where you simply stand still and fight that chocking in your throat. 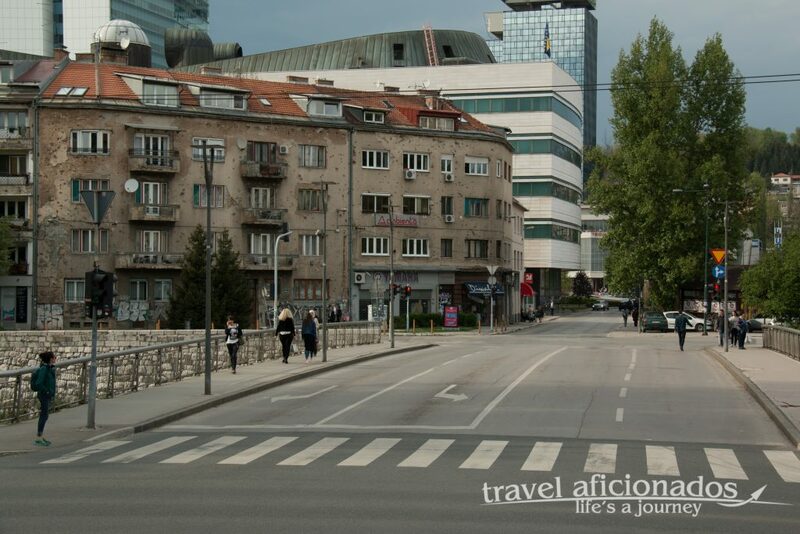 During the siege the broad boulevard running east-west through Sarajevo was named Sniper Alley. Most snipers set on the roof top of high-rises in the district of Grbavica, a part of the city that was controlled by the Serbs. Citizens on their way to work or to get food risked their lives when passing. The famous Holiday Inn was basically on the frontline. Built for the Olympics in 1984, during the war the international press put up camp there politicians negotiated deals. The video shows the boulevard, the bright yellow building is former Hotel Holiday Inn and at the end the high-rises in the Serbian controlled part of Sarajevo, Grbavica, where snipers on the roof selected their victims. Admira Ismic and Bosko Brkic were slain by a sniper on 19th May 1993 when they were trying to cross Vrbanja bridge into Grbavica, the district of Sarajevo occupied by Serbs. 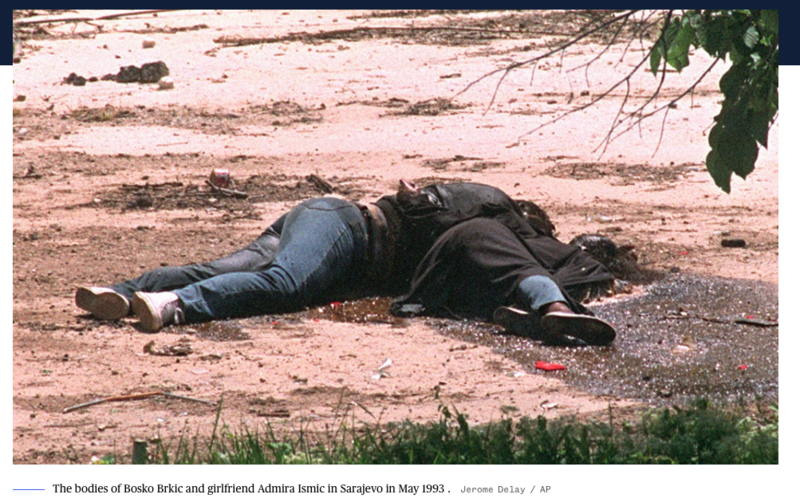 Admira, a Muslim girl, and Bosko, a Serbian boy, had been sweethearts for eight year when they were killed aged 25. 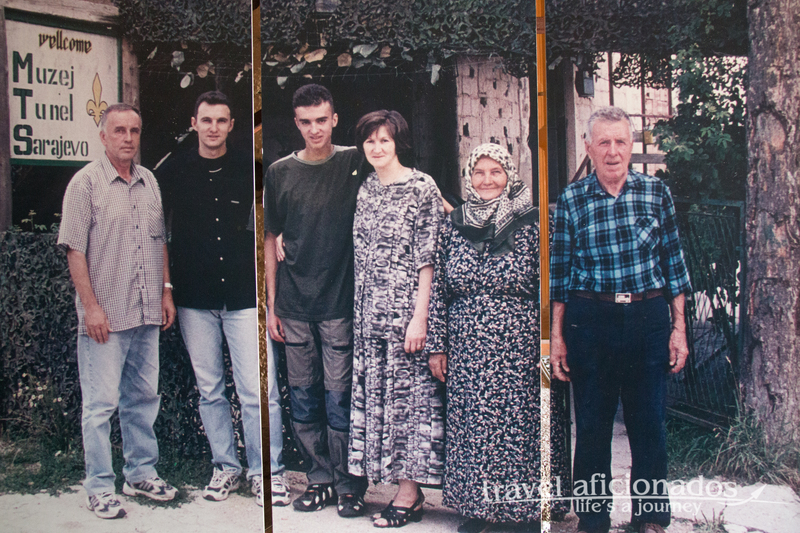 In pre-war Sarajevo mixed-couples were nothing unusual and their family for this reason reject the term Romeo and Juliet, because the two families never hated each other and are still befriended. The plan to leave the besieged city had been arranged beforehand, neither side would shoot when they were to cross the bridge. Immediately when they entered the bridge they were gunned down and died in an embrace. For days the couple lay on the bridge, neither side dared to remove them, fearing to be shot as well. To this day nobody knows who fired the fatal shots. Eventually prisoners of war had to remove the bodies. 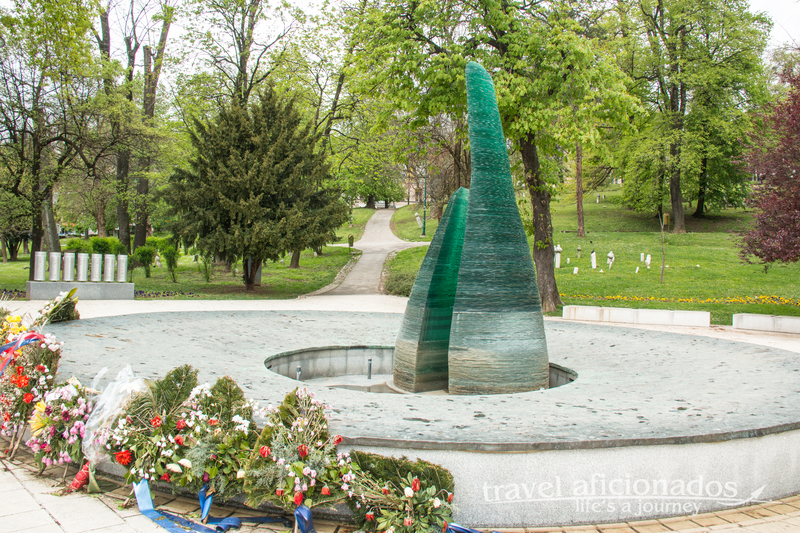 After the war Admira and Bosko were united in a grave on Sarajevo’s Lion Cemetery. 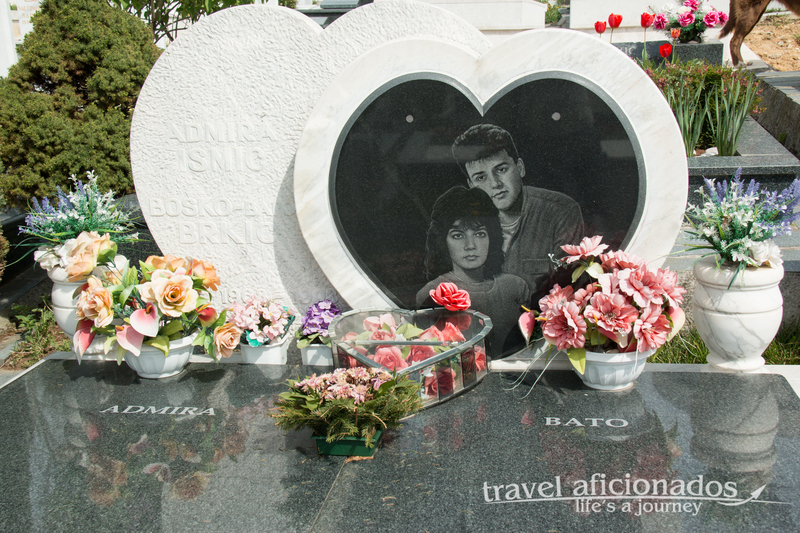 I was so devoted to visit their grave that I walked forever to find it. Although it is a huge cemetery I found the grave and was surprised to be the only person interested in it. But I must admit I am obsessed with cemeteries, convinced to learn a lot about a country’s history by exploring places where people are to put to their final rest. Admira Ismic and Bosko Brkic were slain by a sniper on 19th May 1993 when they were trying to cross Vrbanja bridge into the Serbian controlled section of Sarajevo.